Growing up a majority of the games I played utilized every one of the five senses except for smell. I felt it was time for my nose to get the respect it deserved. 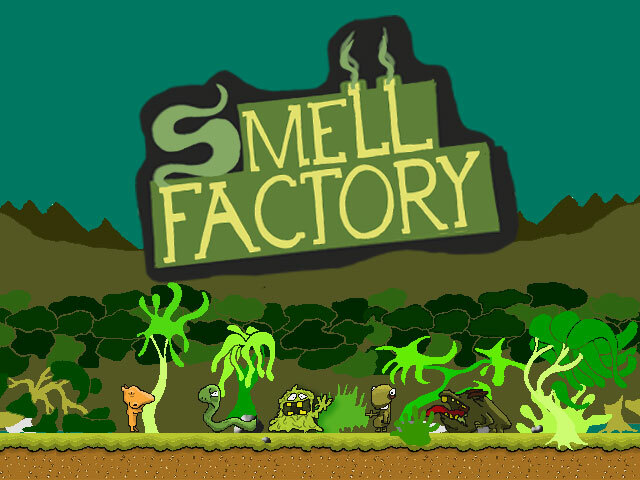 Welcome to Smellville, where all the smells in the world are created by its inhabitants, the Smell Trolls, in the Smell Factory. It is your first day on the job and all smell has broken loose! Match your designated smell with one of the 30 odor vials to bring sanity back to our noses. 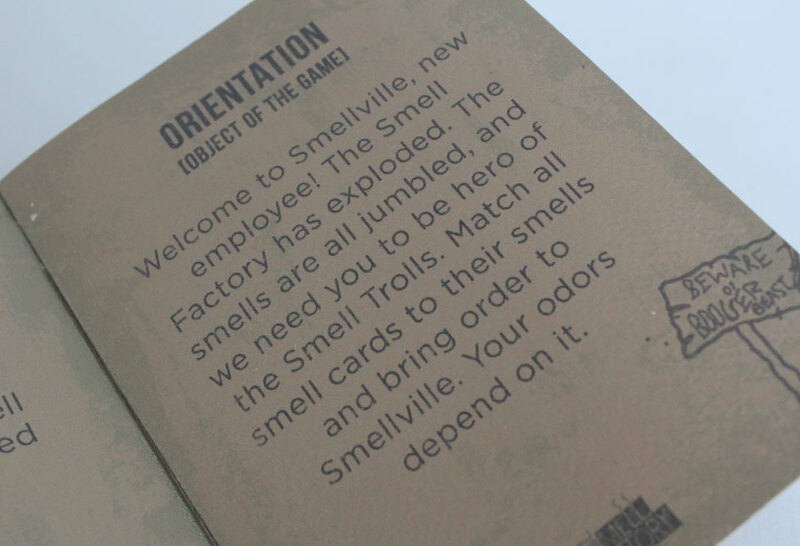 Game includes: Smell pads let you log your previous smells, smell vials, the board, Employee handbook, top of the box, Smell Trolls, Whiff Cards, Smell Cards, dice, and the answer to all the missing smells lies in the Smell Vault. Smellville land of the Smell Trolls. My copywriter and I discussing the intricacies of "Smell Factory." Be warned, not all smells are pleasant. The Smell Factory orientation handbook, aka rule book. Smell Cards: Your mission is to find that smell. Sprites for 24 bit game. 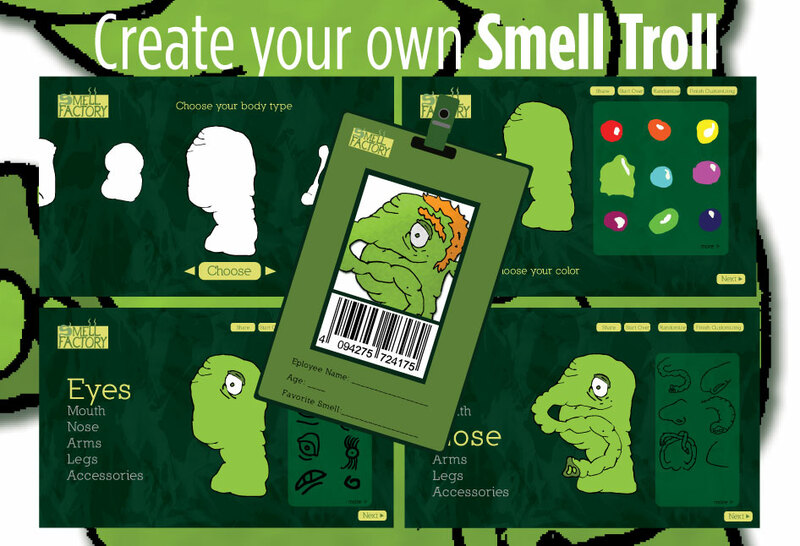 Go online to create your own Smell Troll. Have your creation sent to you as an air freshener. 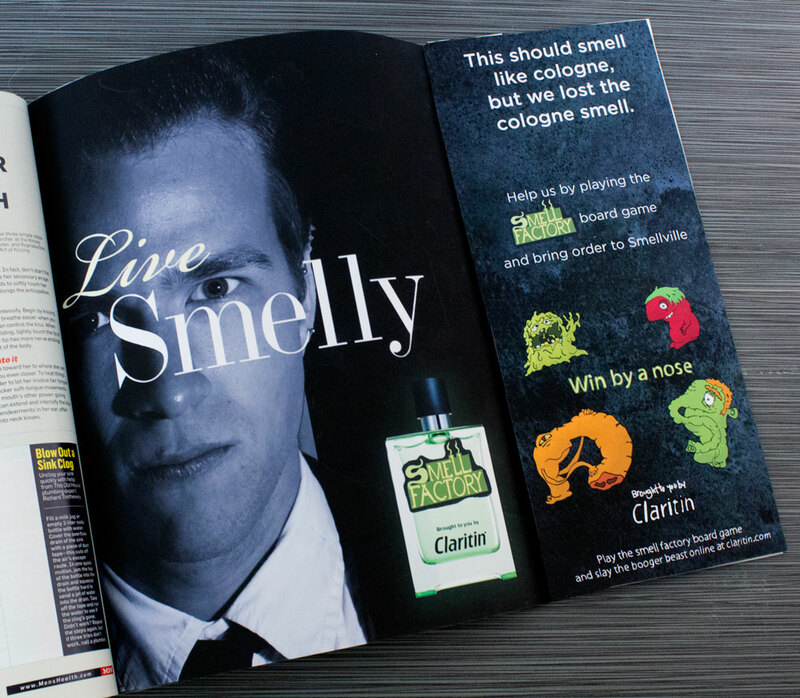 WIn new smells and other great prizes from Claritin with Snottery Tickets. Smelly cologne ad that has you believe it smells like cologne but really smells like old socks.